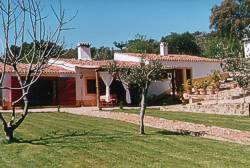 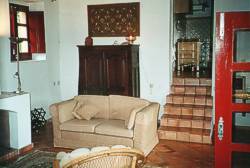 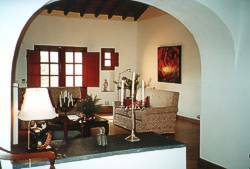 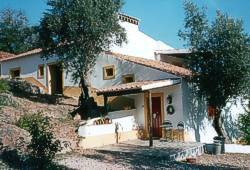 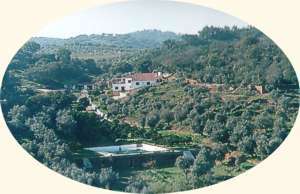 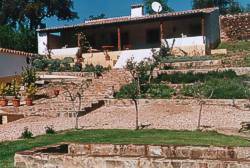 A group of beautifully restored traditional Portuguese farm houses, with swimming pool, dating back to the 16th century. 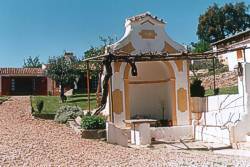 Built around a Roman hermitage amidst a mature orchard of olive, cork and stone oak, almond and orange trees. 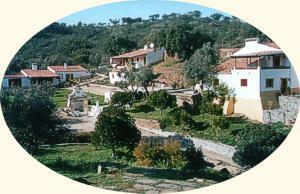 Enjoy the peacefulness, a flock of sheep grazing on the herbal pasture, under the trees... 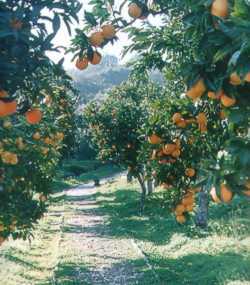 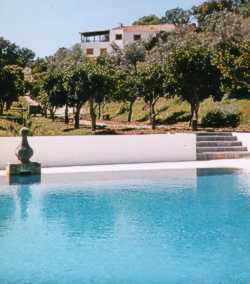 Enjoy the 11x11 m swimming pool situated in the orange orchard, bordered by a sunbathing lawn and at the edge of a roman bridge.